Since 1989, CORFAC International is comprised of independent entrepreneurial commercial real estate firms with expertise in office, industrial, retail, land and self-storage brokerage, acquisitions and dispositions, investment advisory services, property management, construction management and corporate services. 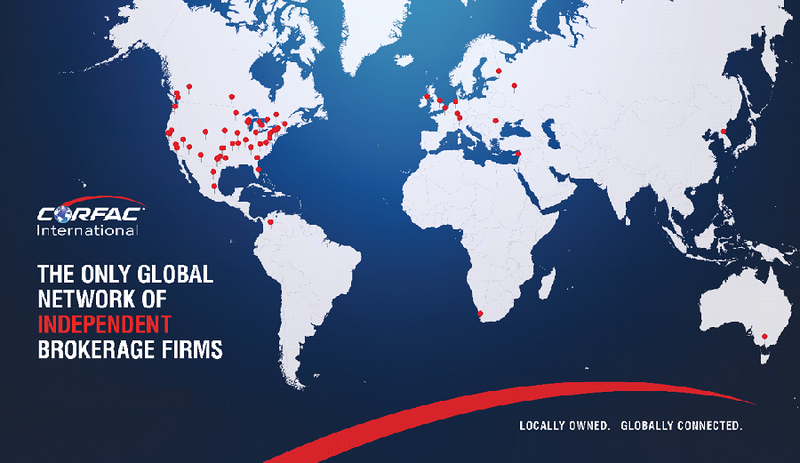 CORFAC currently has 46 firms in the U.S., six in Canada and 27 in international markets. International markets include: Australia, Colombia, France, Germany, Ireland, Israel, Italy, Mexico, Romania, Russia, South Africa, South Korea, Switzerland, and the United Kingdom.